An interview with a captain and a coach of men’s team of Turkey . 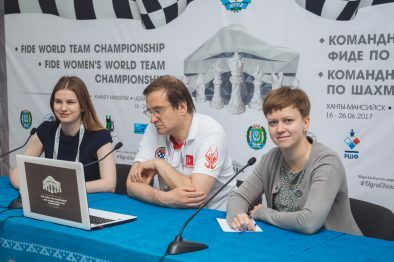 – Michal, for the moment the Turkish team seems to be the biggest sensation of the tournament. Your team made two draws with Russia and Ukraine and won against Norway and Poland. And now your team is involved in one of the central matches of the round against China. What is the secret of such a successful performance of your team? 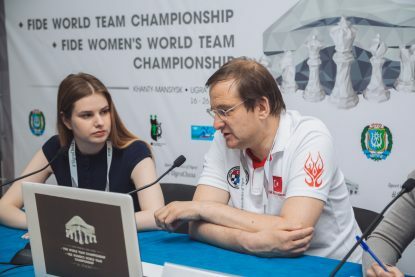 – Well, we can say that in the last years and even last decades chess in Turkey is gradually developing. 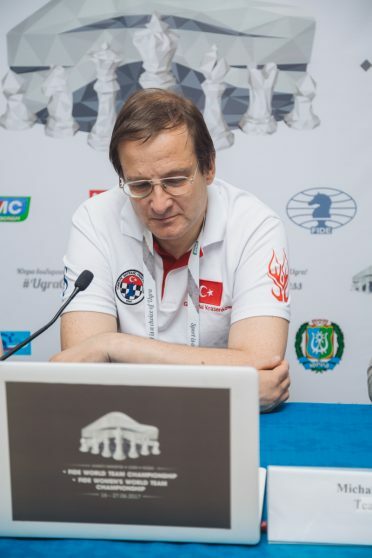 Turkish Chess Federation found great sponsors that are supporting both Turkish national team and young chess players. But of course I have to mention that it is not that easy because before there was almost no chess traditions in Turkey. 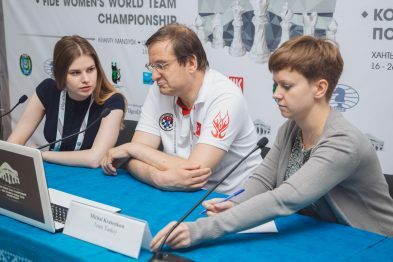 And now we have a lot of young talented players that are strong enough and we can say that these are the fruits of the chess development of the last years. We will see what happens in the tournament. We didn’t have big ambitions when we came here, players just wanted to face strong opponents and do as much as they can. But I think right now they are happy both with playing against strong opponents and the way they perform in the championship. And the result shows that the most important thing in such championships is not to lose games. And this is yet accomplished by our team. 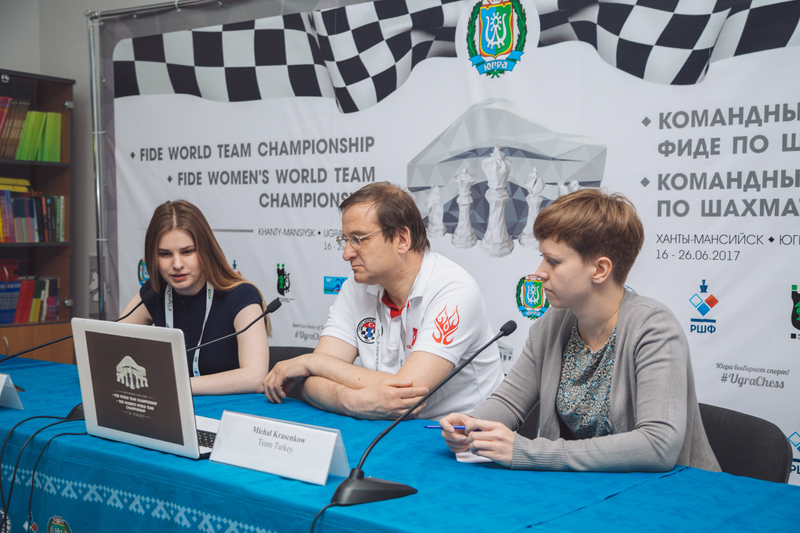 – What can you say about the games in this round? – All the games are still in the opening phase. So, of course, everything is decided quite often in the endgame. For example, yesterday in a match against Poland everything was decided in the endgame when Emre Can won against Mateusz Bartel. With a right play White could hold a draw. What is good so far there are no opening catastrophes.